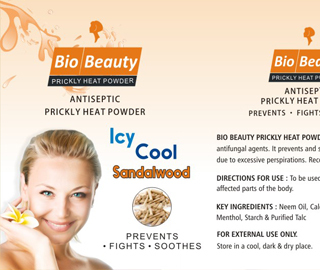 BIO BEAUTY PRICKLY HEAT POWDER contains antibacterial, antifungal agents. It prevents and soothes fungal infections due to excessive perspirations. 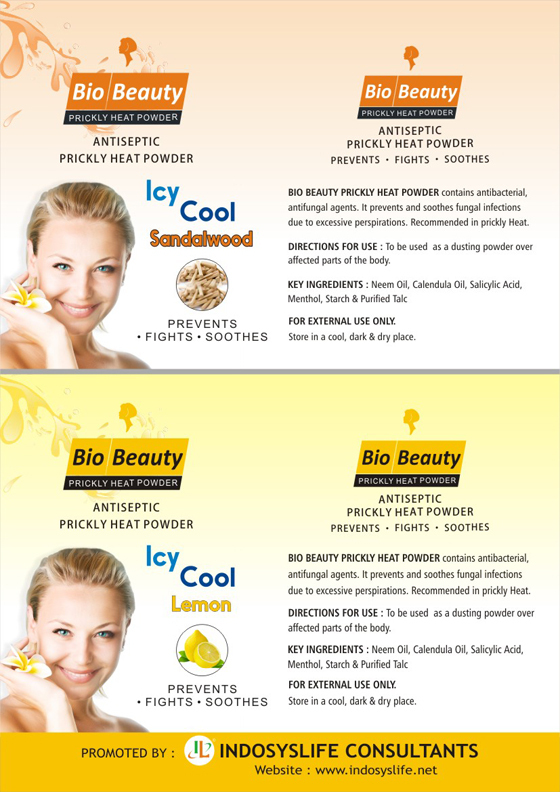 Recommended in prickly Heat.